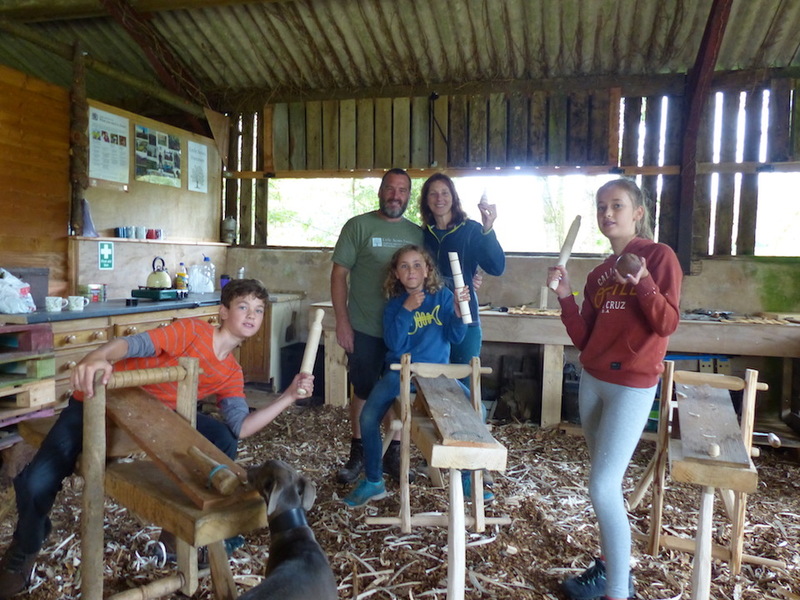 Local woodsman and craftsman, Alasdair Kilpatrick, offers green woodworking courses at Clifford Barton, to suit all ages, abilities and interests. 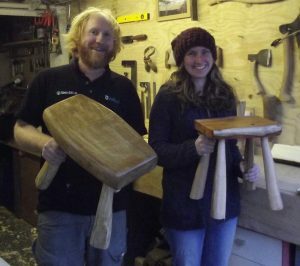 You can join Alasdair as a part of your holiday to learn new skills and make something both unique and beautiful for your home. No experience is needed and families are welcome to come along and learn some new skills whilst having a great time! 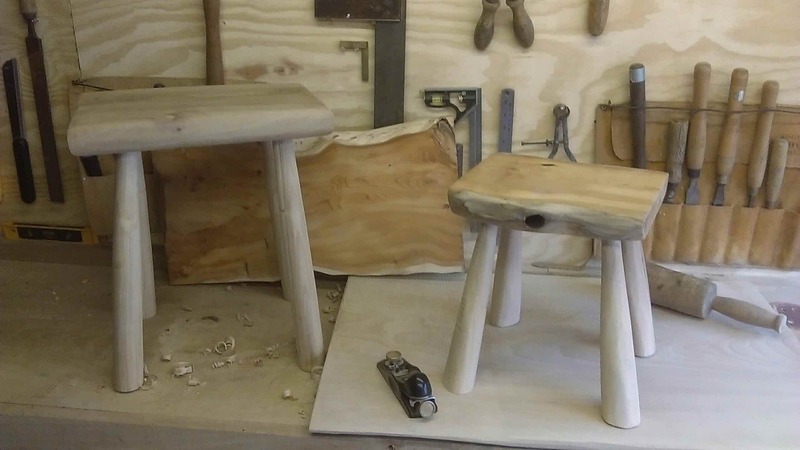 Alasdair will teach you the fundamentals of working with Green Wood and will provide the knowledge, tools and materials needed to get you using a pole lathe.  You are free to turn as many items as you like during the course. On the second day you will explore more advanced techniques and methods of turning. You will make a table or bench . Focusing on accuracy and design with the addition of stretchers between the legs you will be able to make larger items with more refinement. The mainstay of any green wood workshop, your own shaving horse you will allow you to hone your skills and create any number of beautiful hand made items. This is the perfect course for those wishing to take up green woodworking. 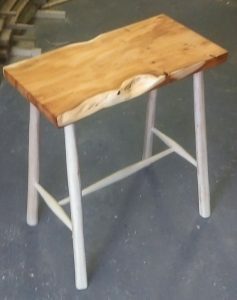 Using local Ash and Beech you will make a traditional chair from scratch. Turning the legs and stretchers and draw knifing the sticks for the back. You will shape the seat from seasoned Beech and steam bend the comb for the back. Unlimited tea, coffee and biscuits are provided and, Alasdair can bring your lunch order from the amazing Ginger Cat Deli in his home village of Exminster (just let him have your order), or feel free to bring a packed lunch. Please wear appropriate clothing, sturdy shoes are essential absolutely no sandals or flip flops please. Little Acorns Green Wood workshop has been developed in the barns of Clifford Barton’s old farm yard, which is located on the edge of the Dartmoor National Park. The Farm now hosts family holiday cottages and courses. Surrounded by beautiful Devon countryside and the breath-taking Fingle Wood, the workshop provides a covered area where the courses can take place. However, there is also a large outside area overlooking the Valley where we hope to enjoy the fantastic Devon sunshine! An exclusive discount for Clifford Barton Holiday cottage guests of 20% can be applied to prices. Please quote your booking reference number when booking the course. Under sixteens are also entitled to a 50% discount when accompanied by an adult. Exclusive family booking (2 adults and up to 3 children) is £260 a day.